Headed to Barcelona on your trip to Europe? We’ve got packing tips no matter what time of year you’re traveling. Find out what to wear in Barcelona throughout the year! Barcelona is a breath of fresh air at any season. The city has an undeniable pulse–a vibrancy and style that regularly draws people back. Its popularity is in large part due to its proximity to the coast, its thriving culture of art and architecture, and excellent dining options in cafes, bistros, bars, and world-class restaurants. Want the best foodie experience? Take this food tour! It was amazing! Barcelona is an incredibility popular tourist destination, particularly in the summer months. The streets and various barrios (neighborhoods) are full of visitors. If you’re planning to visit any major attractions like Gaudi’s Casa Batlló or the Sagrada Familia, you should expect to wait in lines. However, if you opt to walk around while you let crowds die down, you’ll never be at a loss for beautiful streets full of old world architecture. Want to pack light, use packing cubes to compress your clothing as shown in this video! Barcelona is the type of city where you can leave your accommodation in the morning and explore all day without the urge to return. For that reason, when deciding what to wear in Barcelona, I recommend packing for flexibility. 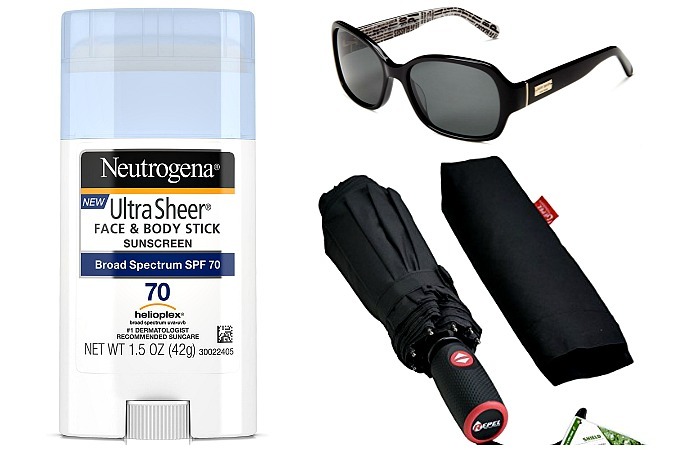 Sunscreen and sunglasses, an emergency umbrella, and layers that you can add or remove depending on the temperature are all safe bets. When you’re spending the day exploring, you’ll want to dress in a style that’s a mix of comfortable and stylish. A typical day might find you taking the subway in the morning and visiting busy tourist attractions, walking across La Rambla, or stopping by multiple neighborhoods. Then by afternoon you might be visiting trendy shops and speakeasy bars in back alleys. By dinnertime, you may be visiting a 5-star restaurant in a high-end hotel. Learn how to pack for 2 weeks in Europe! The key to dressing for a stylish city like Barcelona is to put together a travel capsule wardrobe with outfits that are based in classic, stylish, and well-tailored pieces, but have a high-end European edge and a little bit of eclectic, spicy flair. Women in Barcelona always look put together yet don’t only stick to neutrals–they’re not afraid to wear a vibrant color or rock a bohemian accessory. Additionally, the beautiful locals and visiting Europeans tend to flaunt their fabulous style, particularly when heading out at night. If you plan to keep pace, expect to dress up in the evenings with fancier pieces, jewelry, and makeup. Aim to pack a few glamorous accessories and a dressier pair of shoes that you can pair with a number of outfits throughout your visit. Learn how to pack lightly, efficiently, and fashionably for any destination with the Pack Light Stylishly eBook! Pack a stylish leather jacket like this moto-inspired style. While black is always an easy-to-match color choice for a leather jacket, an unexpected color like deep burgundy would work particularly well in Barcelona. The temperature in Barcelona is generally fairly mild. In the spring months, temperatures average between 62-73°F / 17-23°C. In spring, Barcelona is beautiful but can also be rainy and on the cooler side. This is an important season to pack versatile layering pieces that mix and match well with a variety of looks. Your plan for what to wear in Barcelona should include a comfortable pair of jeans that can be dressed up or dressed down. This item will go a long way here, particularly if you’re aiming to stick to only carryon luggage. Since Barcelona is a trendy and very fashion-forward city, ripped or distressed boyfriend jeans are a great choice, too. When it comes to shoes and bags, don’t stick to basics, especially in the spring months. Celebrate the season of re-birth by opting for colorful and distinctive pieces like this Rebecca Minkoff fold-over clutch. A bright pop of color in the form of a scarf is another must-pack item. This piece is incredibly versatile–you can use it as a scarf if it’s chilly, a wrap in the evening, and a picnic blanket in the park. Lastly, statement earrings are a perfect accessory that can transition easily from day to night. From ruffles to stripes to cold shoulders, we’ve got the scoop on spring trends! When it comes to packing footwear, we generally recommend closed-toe shoes for a spring trip. Temperatures can dip pretty low and it can be rainy. Pack an assortment of walking-friendly flats and perhaps a pair of stylish sneakers or a comfortable flat shoe. Check out the backless loafers above! These are the cutest and most comfortable ballet flats for travel! For the evening, women generally take style up a notch. A chic high heel with a sturdier or chunky heel would be a great choice. These are the comfiest heels for travel! Barcelona is packed with tourists in the summer months. It’s a natural instinct to escape the busier streets and tourist destinations in the city center and explore more off the beaten path. Planning a summer Barcelona vacation? Follow these 8 packing tips! Barcelona’s climate in the summer tends to be hot and sunny, and sometimes hazy. Temperature highs in July and August average 84°F / 29°C with lows averaging 71°F / 22°C. If you’re visiting in the summer, you must visit the beach. From May through September, beaches are popular attractions. You’ll find water temperatures from 68-75°F / 20-24°C. Barcelona has 9 Mediterranean beaches that border the city coastline for 3 miles / 5 kilometers. The nearest beaches are a 15 to 25 minute walk or by metro train from the Barcelona city center. If you’re planning what to wear in Barcelona in the summer, load up your wardrobe with brights. A classic summer wrap dress is an ideal piece to transition from afternoon patio sipping to a late night of barhopping. We love heat-inspired palettes like a vibrant red-orange, coral, or a bold yellow. Take a look at the latest trends with these cute summer dresses! 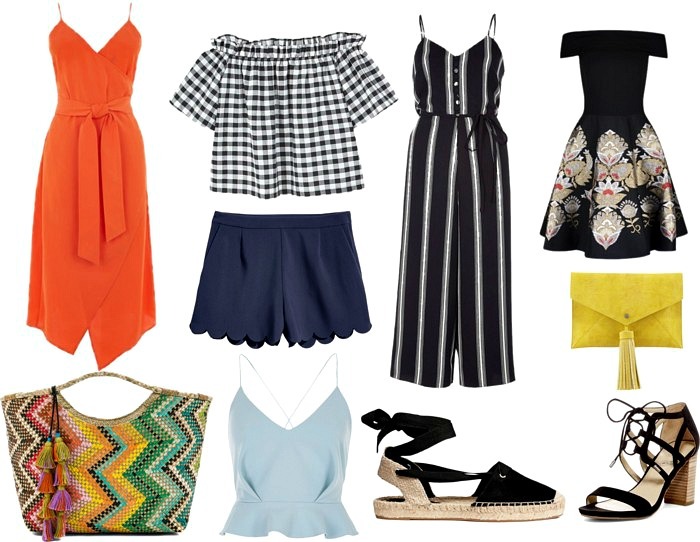 Dress like a local and opt for a cool girl culotte jumpsuit for summer. This style is comfortable and great for anything active like renting bikes and riding around your favorite barrios. You may be surprised at how comfortable you can feel while looking so trendy! While shorts are an essential for the summer months, keep it classy in Barcelona and opt for a higher-end looking pair, like these scalloped-edged shorts in navy. You can dress them up or down. Rompers are also called playsuits or jumpsuits, but whatever you call them, they’re super travel-friendly! These stylish summer shorts for women will take you from day to night, city to sea, and so much more! Regardless of whether you’re hitting the beaches or heading to the hills, you’ll want to wear your comfortable shoes for summer exploring. Our favorite pick is espadrilles. For summer nights, opt for a strappy sandal, but stick with a chunkier heel if you’re planning to walk quite a bit along the uneven streets. While summer in Spain is divine, there’s something magical about the fall months in Barcelona. The city is incredibly enchanting, and becomes even more romantic when it’s enjoyed on slightly chilly afternoons in the sparkling sunshine, surrounded by golden leaves. As the seasons start to change, we see the emergence of fall fashion. You’re in luck, because this city has some of the best shopping in Europe. The fall months in Barcelona can range in temperature quite a bit. While September generally sees highs of 78°F / 26°C and lows of 62°F / 17°C, November cools down to highs of 62°F / 17°C and lows of 46°F / 8°C. Your packing list for what to wear in Barcelona in fall should start with a comfortable pair of dark jeans and a nice pair of ankle boots. Both items can be worn with a variety of outfits, dressed up for fancier evening activities, dressed down for casual days, and will keep you relatively warm on the cooler fall days. Being cozy doesn’t have to mean sacrificing style in an avant-garde city like Barcelona! Rocking a stylish fringe bag or a cute knit headband rather than a traditional beanie are great ways to look put together while staying toasty. These are the best ankle boots as recommended by our readers! Opt for rich colors in the winter months in Spain. If you’re packing for Barcelona between December to February, we recommend bringing a warm wool coat like this rust-colored one in a flattering wrap style. Read these tips on how to stay warm in cold weather without looking like a snowman! Winter in Barcelona is relatively mild compared to many Northern European cities. Temperature highs hover around 55°F / 13°C in the winter months with lows dropping to around 40°F / 4°C. Since temperatures rarely ever fall below freezing, there’s rarely snowfall. From December to February, you’ll see about 5 days of rain each month. When planning what to wear in Barcelona, don’t feel obligated to stick with long pants. 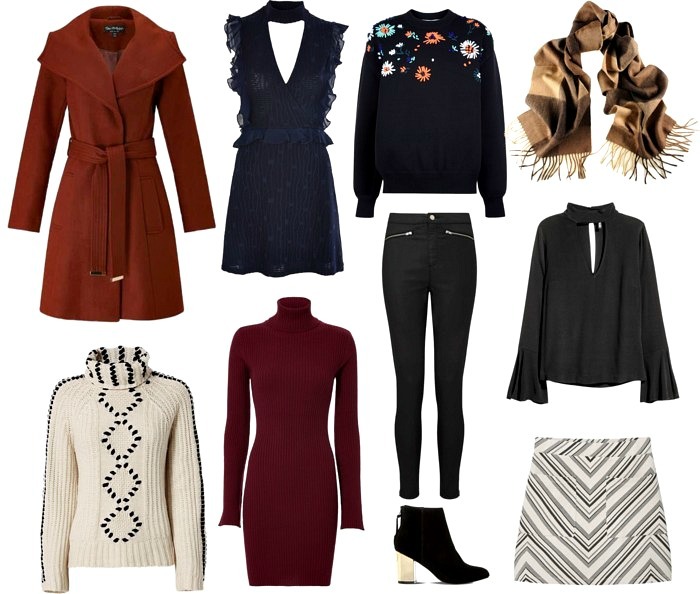 Dress up with sweater dresses or cozy skirts paired with warm opaque or patterned tights. Oversized sweaters with unique accents–like contrasting cross-stitching, embroidery, or interesting patterns–are very popular right now, and a trendy way to keep warm in the winter months. Learn more about cold weather layering and why thicker clothing isn’t always better! Finding stylish footwear in the winter can be a challenge, but the good news is that it’s unlikely there will be be snow, even during the winter. 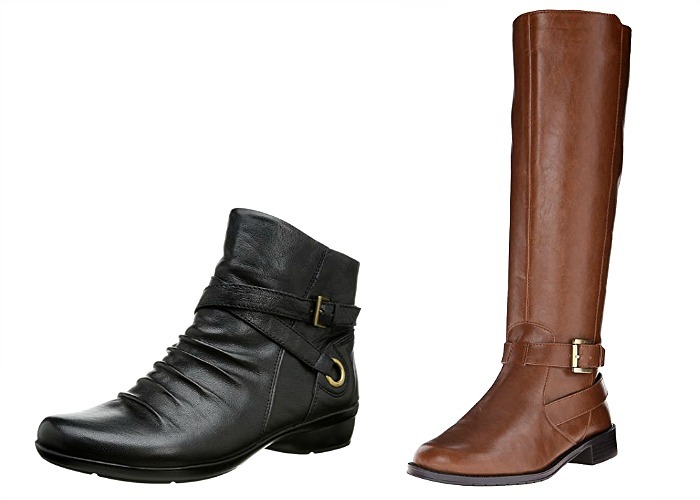 Opt for leather or leather-like ankle booties–flat or with a heel, and tall, riding-inspired boots. Remember, winter boots don’t have to be boring; accents and details go a long way! These are the best waterproof leather boots as recommended by our readers! There are many fun tours if you’ve just arrived and aren’t sure what to do first. Try a tapas tour, wine tour, pub crawl, or walking tour to explore the city. Devour Barcelona offers incredible (and delicious) food tours. They’re a must! These can be arranged through your hotel, hostel, or coordinated through a tour company. Whether you’re an art and architecture lover or not, when in Barcelona, you must see Gaudi. The famed architect and artist is highly through a number of his stunning works peppered across the city. Park Güell is an outdoor park with beautiful benches, walls, and buildings built from mosaic tiles and colored glass and panoramic views of the entire city. Sagrada Familia is a massive and impressive Roman Catholic basilica, with architecture like nothing you’ve seen before. Although construction began in 1882, work has continued long after Gaudi’s death. The estimated date of completion is currently sitting somewhere around 2028, however you can tower inside and outside of the church, both of which are equally impressive. The Gaudi Exhibit: I recommend taking an hour to tour the Gaudi Exhibit, which provides valuable insights through an audio tour. You’ll see architectural plans, models, and key relics that inspired Gaudi’s style and journey. When it comes to food, you’ll find tons of tapas in Spain, which are small, bite-sized plates to share. Patatas bravas are particularly popular. They’re fried potatoes served in cube form with two sauces, a garlicky aioli and a spicy tomato sauce. Yum! All in all, Barcelona is a fun city to explore your fashion flare. When in doubt, leave extra room in your suitcase and indulge in the world-class shopping that the city has to offer. Along with figuring out what to wear in Barcelona, how about planning where to shop? Since fashion is such a draw, and Barcelona is notoriously known for its fabulous style, check out some of the best places to shop when you visit the city! The Barri Gothic (Gothic Neighborhood) is full of shops from well-known retailers like Topshop, Sephora, and Mango, to streets full of smaller, local boutiques. El Born is also a great district to explore for a day of shopping, nibbles, and drinking. In this neighborhood, you’ll find cozy bars with artisanal cocktails like an underground speakeasy and unique shops with delicate jewelry, stunning shoes, unique fashions, and souvenirs. What are your tips on what to wear in Barcelona? Share in the comments! Please note: Most of Europe’s budget airlines have this carryon bag allowance: 55cm x 40cm x 20cm. Always check your airline’s individual baggage rules and regulations in advance. I hope you liked this post on what to wear in Barcelona. Don’t forget to share on Facebook, Twitter, and Pinterest. Thanks for reading! So happy to have found this article. I’m going to Barcelona and South of France the first half of June. 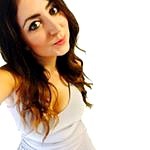 Should I be following the spring or summer guidelines? Obviously June is a “summer month” but I looked up the avg weather that time of year on a weather website and it states highs of low 70s and lows of high 50s. Useful tips for a probably trip in the spring. Starting off in Barcelona in February, so I’m looking forward to using this info. Going with some girls from work! Sounds like a fun girls trip! Thank you for all of the suggestions in this post. I will be returning to spend 2 nights/3days in Barcelona Sept 30-Oct2. Looking forward to exploring more of this fabulous city. We visited Barcelona in October, 2015 and had a great time. This is a stop over between our Mediterranean Cruise and a land/river cruise in France. Looking for a carry-on bag on Vueling Airlines since my current carry-on is too heavy. Love the fashion suggestions.